Why replace or spend lots of money on repairs while you can do it yourself?! This service and repair manual is used by the Official Certified Pioneer Technicians. 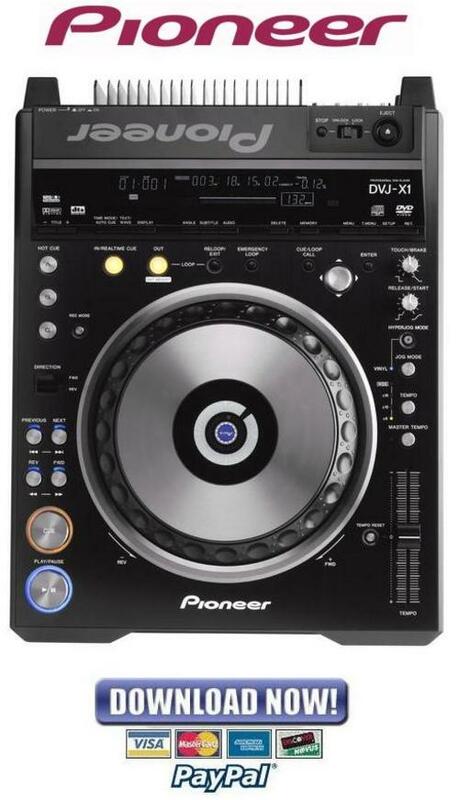 It will help you to troubleshoot and repair your DJ Audio/Video Turntable! This service manual is very detailed with colored pictures and step-by- step instructions on how to repair/service this device the best way there is! Please note this is the OFFICIAL service and repair manual in PDF format, no scanned-in or bootlegged copy. This manual is made in high resolution, so when you print the pages you need it is all in great quality! Looking for a service manual but cant find it anywhere? Please contact us with your request! As you can see we've got one of the largest service manual databases out there, so a good change we can help you out!